A statement issued by General Sao Sokha, National Military Police commander on Monday (Jan 30) announced the establishment of a six person fact-finding commission headed by the acting chief of the military police inspection office. 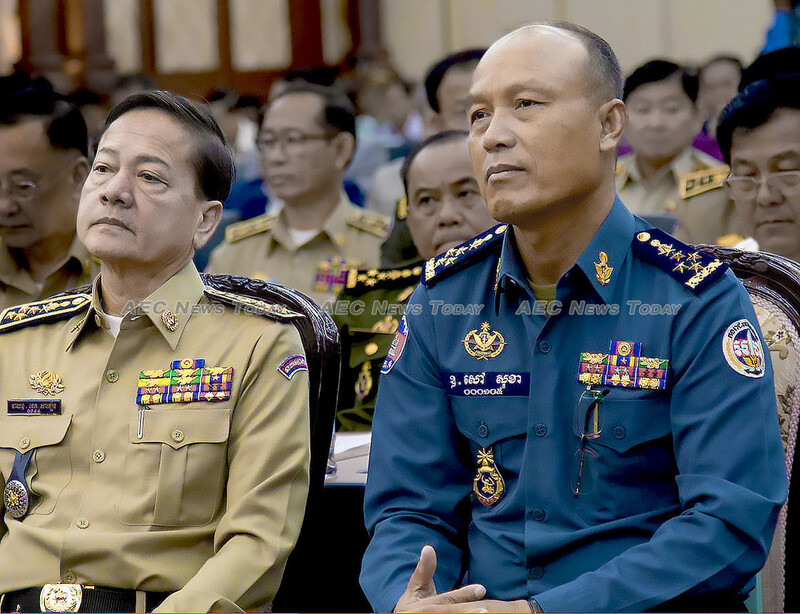 According to Cambodia English-language daily newspaper, Khmer Times, the commission has the authority to meet with and summons relevant authorities, institutions, and high-ranking military police officers “in order to find the truth”. “If we find that a military officer has made a mistake, then we will punish the officer in accordance with the law”, General Sao reportedly told the Khmer Times. Over the weekend disturbing video emerged showing a clash between land protestors and police. One protestor received a serious gunshot wound to the chest and a 10-year-old boy was also reportedly assaulted. Eye-witnesses claimed land protestors had been beaten by police, who had been sent to enforce an order of the Cambodia Supreme Court, but were met with burning car tires, rocks, and petrol bombs. At the time provincial spokesperson,Y Thearin blamed the clash on outsiders, saying “they don’t have land in that area. I don’t know where they were from”. This view was affirmed by a former commune chief for the disputed area, Oem Sarom, who yesterday told The Post that most of the people living on the land are originally from Koh Kong and Kampot provinces. Acknowledging that some people had purchased land from others in the village, Mr Oem said “those who sold the land took the money and left”. Than Thavireak, defence lawyer for the nine families that the Supreme Court ruled owned the land, was quoted by The Post as saying that the villagers had been served with notices on many occasions in the lead up to the verdict last November. 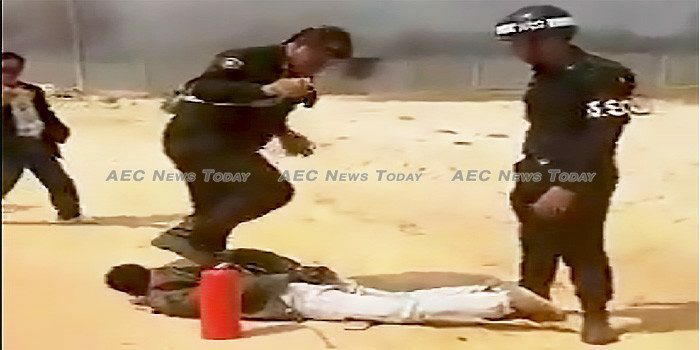 The disturbing video comes as the European Union mulls whether to begin the formal process to strip Cambodia of its Everything but Arms (EBA) status over concerns at lack of political freedom and human rights abuses in the country. While no deadline has been set for the fact-finding commission to complete its investigation, General Sao reportedly told The Post that ” if it was found that Preah Sihanouk provincial military police officials had used excessive force, then they would be punished according to the law”.